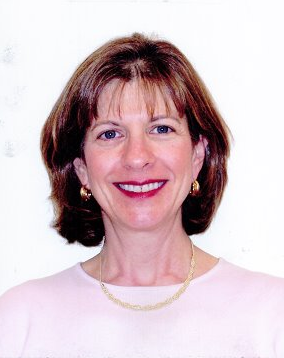 Dr. Paul received her Bachelor of Science degree at the University of Pittsburgh, her Masters of Science degree at Drexel University and her Doctorate of Optometry at the Pennsylvania College of Optometry. She did her residency at the New England College of Optometry and was a PhD candidate at the University of Houston, College of Optometry. In 2010, she received the Florida Special Olympics Volunteer of the Year award and has been the State Clinical Director for Special Olympics Opening Eyes since 1999. Dr. Paul has been in practice for 34 years. During this time she has become a specialist in contact lenses, orthokeratology, dry eyes, patients with Intellectual Disabilities and anterior ocular disease. She belongs to the Florida Optometric Association, the Special Olympics Opening Eyes and JIA Business Group. Dr. Paul was born and raised in Augusta, Ga. until she was 12 years old and then moved to Philadelphia, Pa. In 1987, after completion of PCO, residency, and graduate work she moved to Miami where her and her husband had a private practice. They sold the practice in 2006 and now call Fernandina Beach home. Dr. Paul got into the optometry field because she knows and understands what it’s like not be able to see clearly and wanted to help people in the same situation. She started wearing glasses when she was 6 years old and PMMA when she was 14. Her greatest satisfaction comes from working with Special Olympics Opening Eyes. Since joining them in 1998 she has been able to help so many individuals who were thought to have no ability to perform an eye exam or benefit from the use of glasses. She has seen teenagers who would never leave the side of their parents, be able to say “I am off on my own” as soon as they put on that first pair of glasses. Outside of the office she loves to travel, meet new people and learn the history, architecture, culture and food of new places. Her hobbies include cooking and trying different cuisines. She trains and participates in half marathons and 15K's. She loves reading and is am a member of her neighborhood book club. Dr. Paul has been married for 28 years to David Fitzgerald, who is a licensed optician and they have 3 thorough breed street cats.